•Throwing (which includes Shot Put, where girls throw an 8-pound ball as far as they can and the boys throw a 10-pound ball). 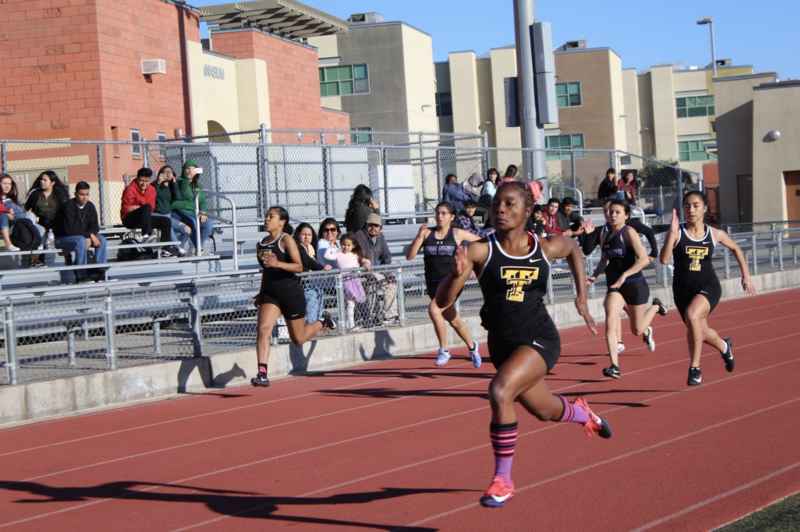 Other than knowing how Taft Track meets work, Taft Track and Field is a great sport to join! There are annual tryouts at the beginning and end of the fall semester to prepare for spring meets. Other than tryouts, you need to fill out a couple of forms and turn them into Mr. Drucker on the service road. The coaches are Mr. Rucker and Ms. Lopez that help and train students to become the best they can on the team and in general. Once a member, students can expect to make many everlasting friends and be part of a steadfast team, pun intended. The Taft track and field started their season so now that you guys know how a track meet works, come to support our track and field team at the upcoming meets!